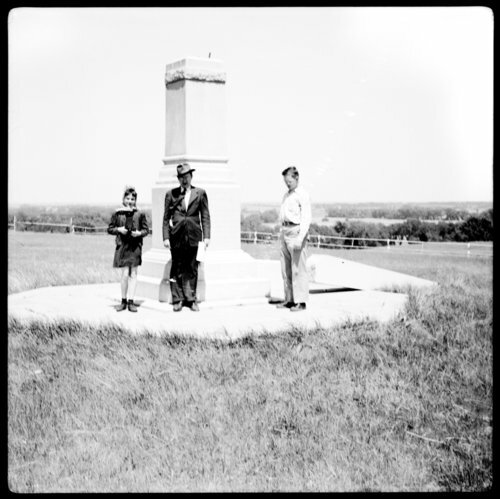 Several views of damage to the Pike Pawnee monument in Republic County, Kansas. This monument is part of the Pawnee Indian Museum, the oldest historic site owned by the state of Kansas. In 1899 George and Elizabeth Johnson deeded to the state of Kansas most of the site upon which a large Kitkehahki (Republican) band Pawnee earth lodge village had stood in the late 1700's.